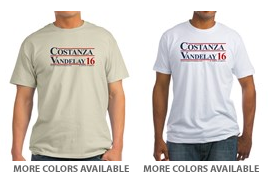 costanza, vandelay, 2016 presidential nominees. George will win baby! What is the Latex Party? It is mind-boggling that the American people have nominated a criminal and a mentally unstable person as the nominees for the Democrat and Republican parties. 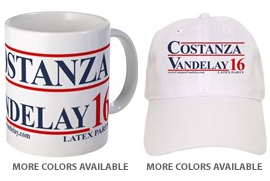 The toughest choice on election day, would be deciding between the lesser of two evils for our next President of the United States of America. 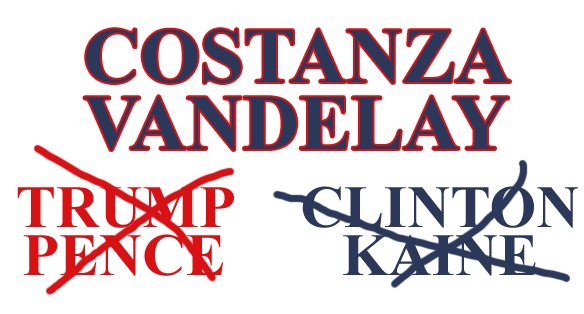 However, why choose a criminal over a liar when there is another choice? 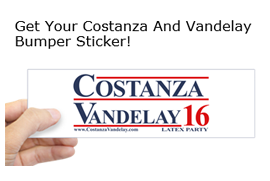 Please consider the Latex Party and vote for George Costanza and Art Vandelay!